At first glance, this front-page item in a recent Kitsap Sun (Bremerton Washington) newspaper would render the Washington State Ferry System completely impotent! It would be faster to travel by canoe or outboard motor boat! 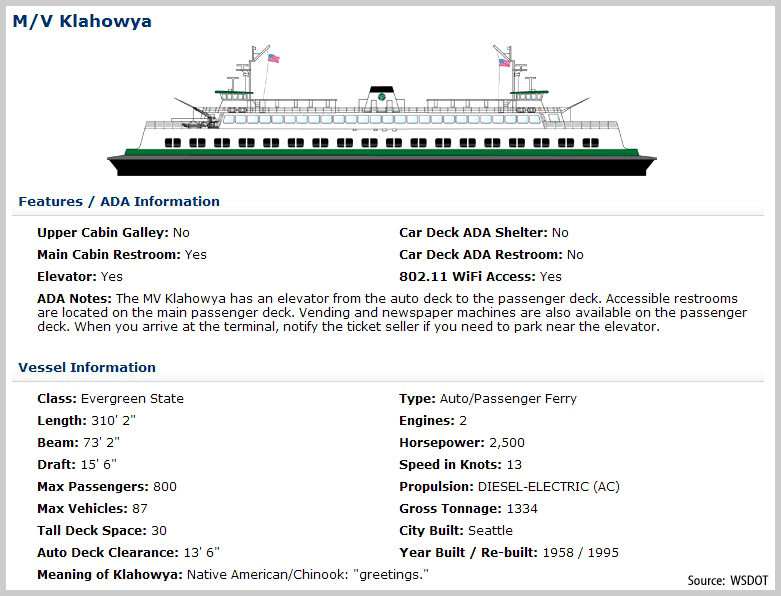 The Washington State Ferry system has ordered two ferries, the Klayhowya and Tillicum, to slow down by two knots, on their appointed routes. This is an effort to extend the lives of aged engines. 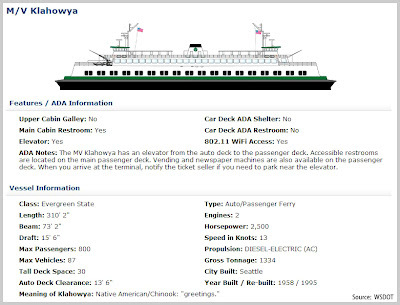 Both the Klayhowya and Tillicum are scheduled for replacement over the next few years. Part of my research strategy is to tag "alerts" in news groups, linking to subjects I have an interest in. Many times, they become a potential Blog article. Recently, an alert crossed my desk from the Hindu Business Times. The Hindu Business Times is one of India's leading business news journals. 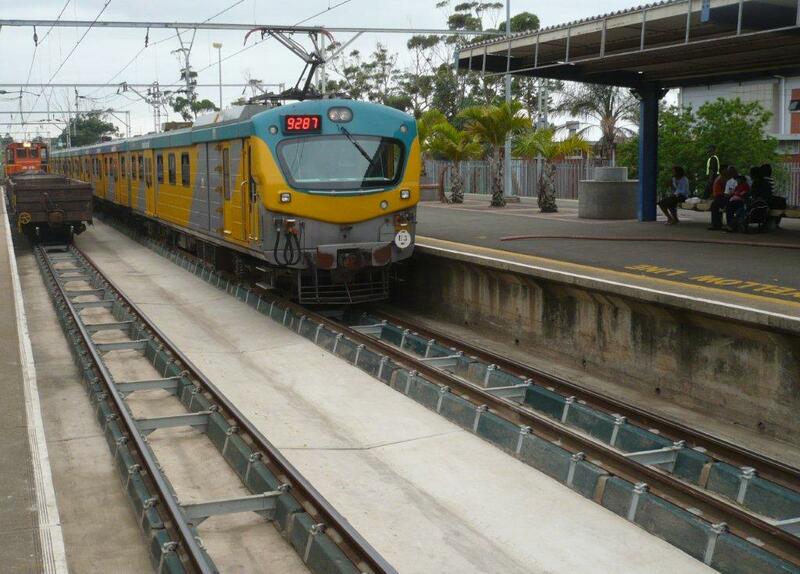 But, my "alert" marker was not on the HBT, but on "Tubular Track." 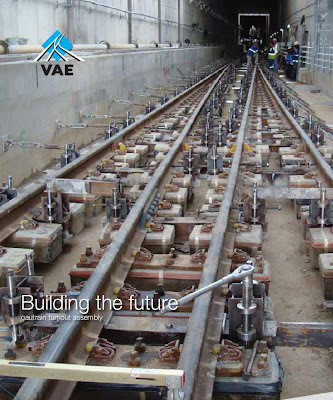 Tubular track is a ballast-less modular rail system. I first encountered tubular track when I was doing research on the Sishen - Saldanha Bay (OREX) Heavy Haul Corridor in South Africa. It was announced a few days ago in Mumbai, that Tubular Track of South Africa is in talks with Lanco Infratech to jointly bid for Dedicated Freight Corridors (DFC's) in the eastern and western regions of India. 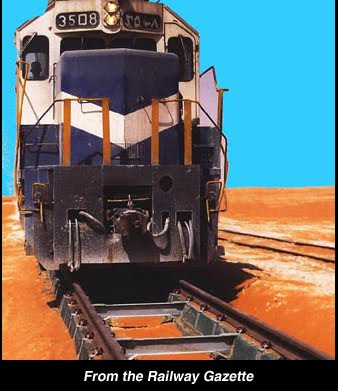 In addition to India, many new Heavy Haul corridores are in various stages of development int Africa. 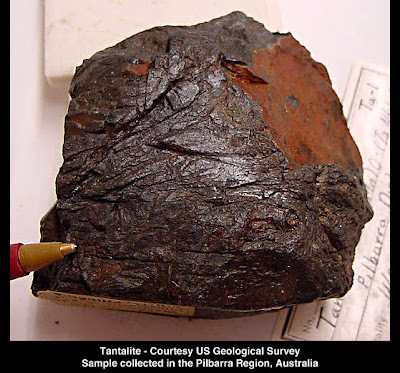 Various estimates say Africa is home to 90% of the world's cobalt, 50% of the gold, 98% of the chromium, 70% of the tantalite, 64% of the manganese and 34% the uranium. This is attracting not only China, but also Iran, Malaysia, South Korea and Brazil to the continent. China Civil Engineering Construction Corporation (CCECC) furthered its strategic expansion into Africa by winning new contracts totaling 9.1 billion CYN - yuan - ($57.3B USD). The company currently has 269 overseas projects, mostly in less-developed African and Asian countries such as Ethiopia, Darfur, and Chad. • February 15, 2012. CCECC announced a construction contract worth 7.5 billion CYN ($47.3 USD) in Ethiopia. 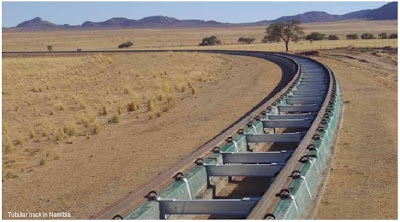 With the virtual explosion of Heavy Haul Corridors in India and in Africa, the Sales Department at Tubular Modular Track (TMT) has stayed the course, landing important contracts. 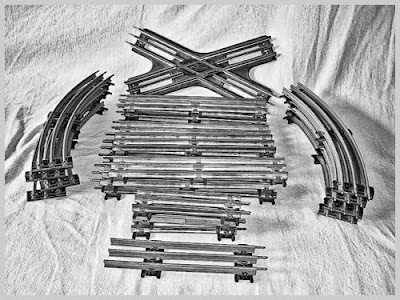 While TMT began manufacturing "modular" tracks back in the 1980's, the concept of modular track can be traced back to the 1850's. "Ladder" track, so named because of the obvious likeness of a ladder, found its niche market in underground mines. 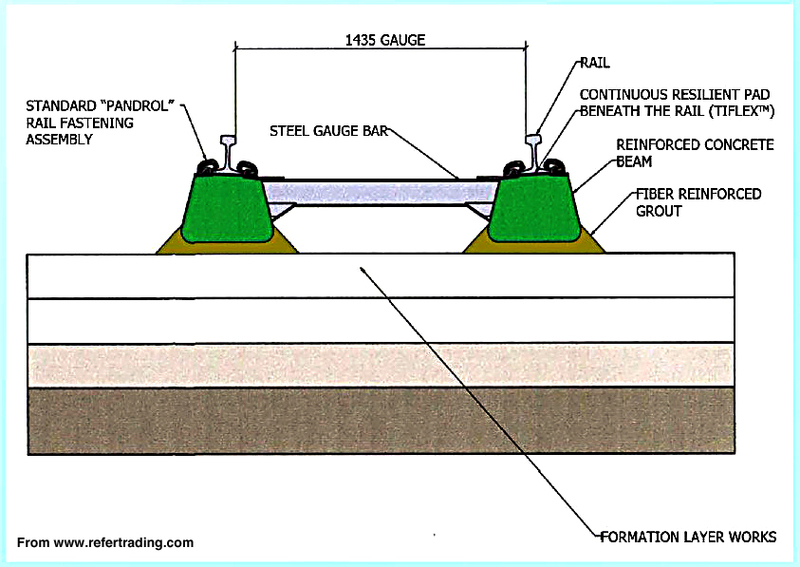 Track sections could be easily picked up and moved to a new location, since the modules were not anchored by ballast. Many readers have extensive experience with "modular" track! "To succeed in a mature rail market where the convention of ballast track (using cement sleepers and crushed stone) has been commoditized with market dominance for many decades is non-trivial. 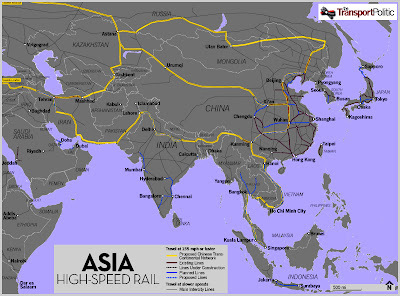 "Japan was to prove the technical and "rest of life maintenance cost" advantage of building railway track without sleepers. 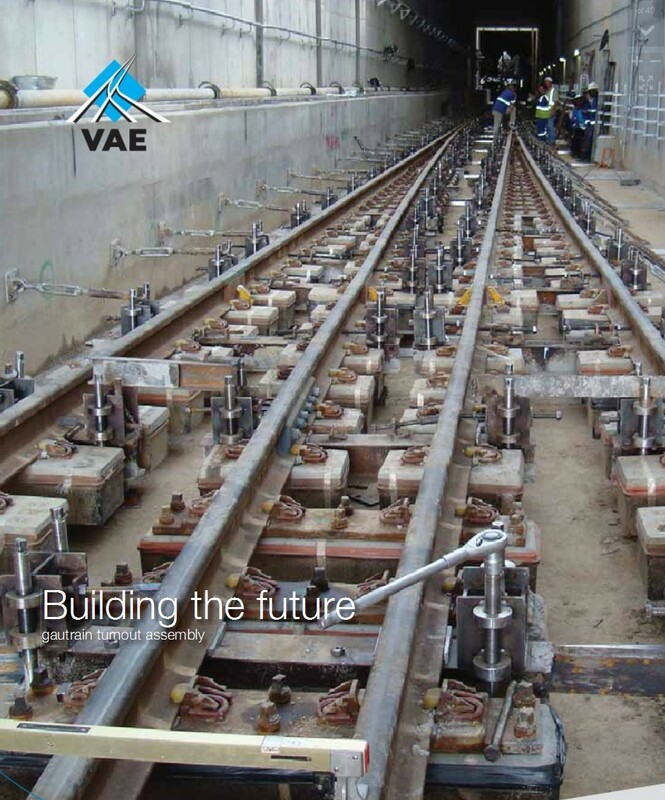 "Our T-Track System is the first technology to step forward to compete with the initial and mid-life recapitalization cost of conventional ballasted track, whilst offering the same rest of life maintenance costs and benefits associated with slab track systems as it competes favorably. 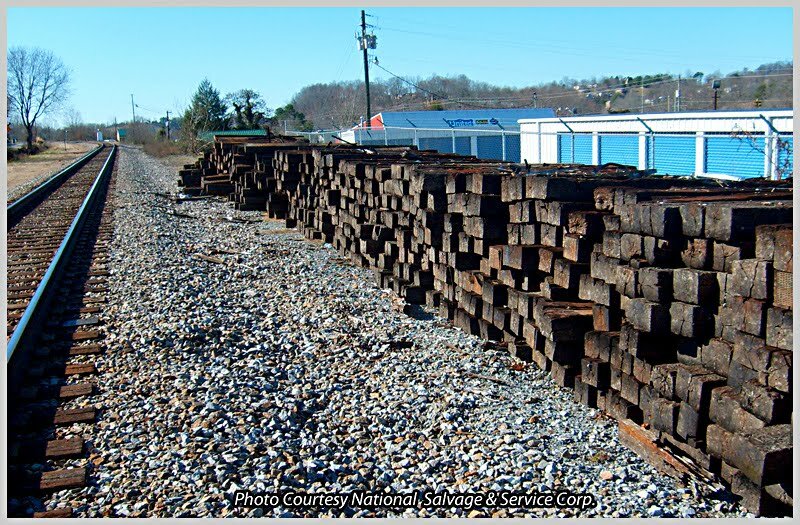 With railroads replacing ballast systems with modular systems, begs the question, "What do we do with these? 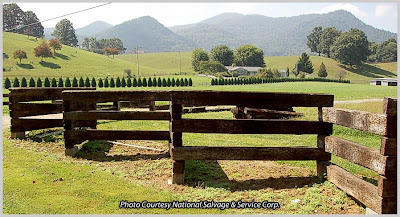 I am sure there are many who have used "used" ties for landscaping and other uses! I have a friend who did exactly this - built a fence with "used" ties! And speaking of ballast, check out this work in progress. 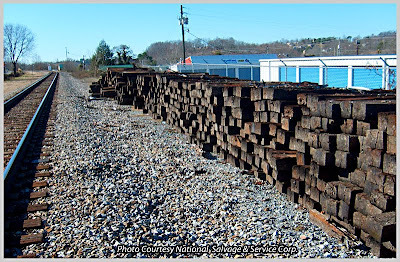 The only heritage artifact in this photograph is a track level!